"Overplus” was the key word throughout the SEBS market in 2018. As the operating rate rose in 2018 following the startup of newly added units last year, China’s SEBS market still focused on how to consume the overplus SEBS capacity. As for downstream industries, the overall demand for SEBS was sluggish as the overall industry chain underperformed and the export market was dampened. The oversupply caused by the imbalance between supply and demand led to continuous declines in SEBS prices. Investors pursue high profits in previous years. Will there be more SEBS units to be put into production in 2019? The oversupply in China’s SEBS will continue in 2019. However, as a high-end hydrogen product with a wide range of applications, SEBS is also looking for new downstream application fields. What is the replacement process for medical TPE for traditional materials? Can the automotive industry bolster up the new demand for SEBS? 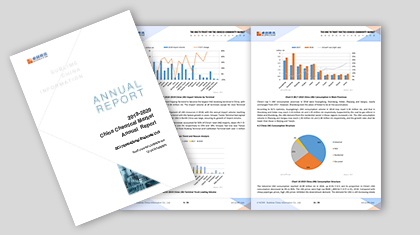 2018-2019 China SEBS Market Annual Report will provide a detailed explanation for market participants. This report covers the data of price, operating rate, capacity, output, gross profit, etc. Relying on years of data accumulation and analyst experience, SCI deeply analyzes the development rules of the SEBS market and gives reasonable advice to avoid market risks by analyzing supply and demand changes. 1. Comprehensively sort out SEBS supply and demand changes in the past five years, based on the data analysis. 2. Interpret the current situation of SEBS downstream industries and analyze the demand potential of SEBS in high-end applications. 3. Present the SEBS profit changes comprehensively in the past five years. 4. Analyze the various driving factors that influence the future market in depth, and make scientific predictions to help avoid market risks.